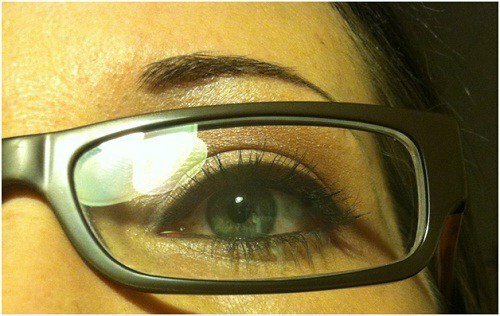 As an eyeglass wearer I know the confusion and frustration of makeup application. That is why I am sharing with you some of my favorite tips that I have uncovered over the past few years experimenting as a beauty blogger. I've recently discovered how fabulous & fun it is to be feminine. It's never too late! 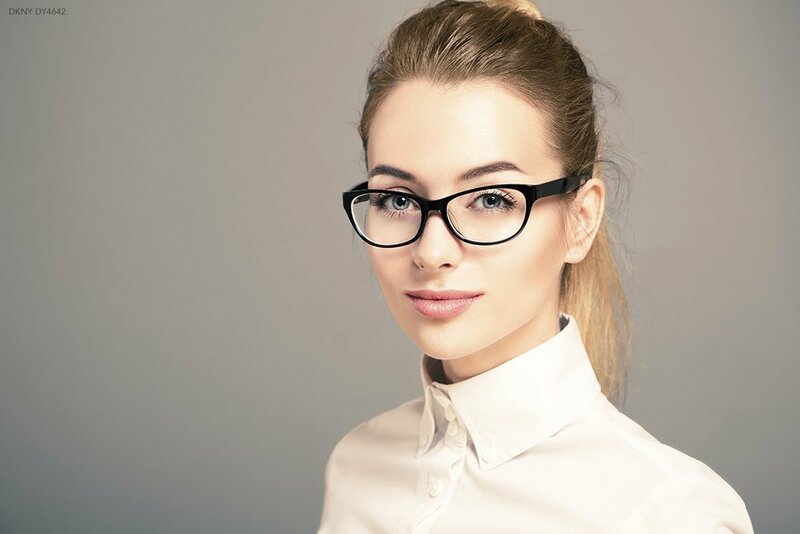 These are some basic tricks to make your eyes pop from under those frames. A black powder shadow that I use to line the inside of my lash line. This is one that can be awkward and difficult to master. However it will make your lashes and eyes POP! 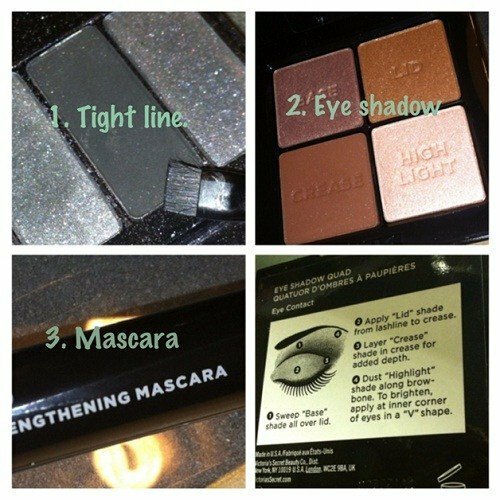 I use a small flat brush and lift my lashes up to push the color in between the lashes. Please note: DO NOT do this if you have dry eyes because it will only contribute to your condition. Eyeshadows come in a rainbow of colors. Once you get comfortable try them all but to start stick with neutrals. They're great for any eye color. A kit like this not only contains all the colors you need to do a basic smokey eye, but it even has instructions on the back of the case. You can go for just the highlight or use them all for a look with more depth. Whatever you're more comfortable with. 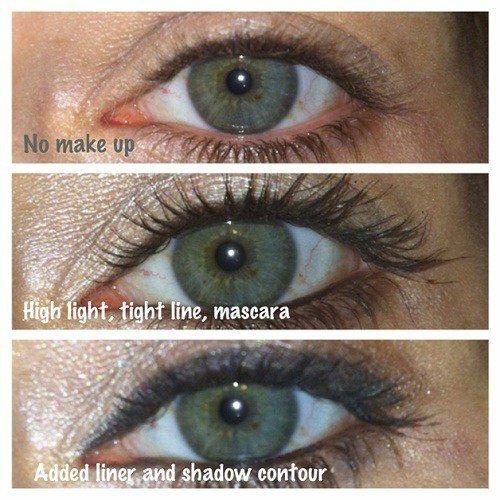 Get lengthening mascara! You might even want to try curling your lashes so they won't brush up against your lenses. No makeup, high light, tight line, mascara and added liner and shadow contour. Five minutes will give you an entirely different look, ladies. Don't sell yourself short! 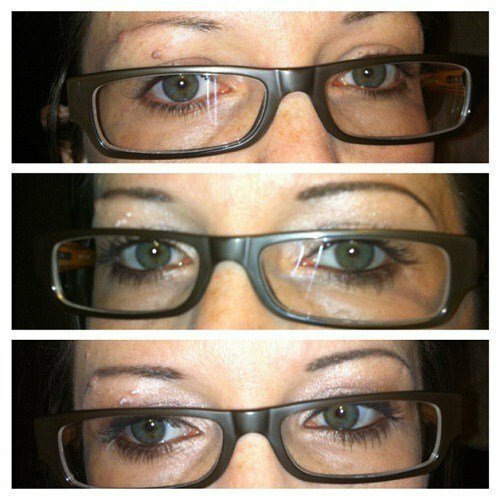 These three shots are the same sequence of makeup as shown above. 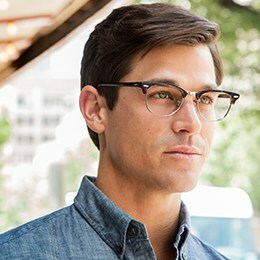 A little makeup really makes the eyes pop from under my thick frames! Have fun with your frames and your makeup! Enjoy and accentuate what you were born with!